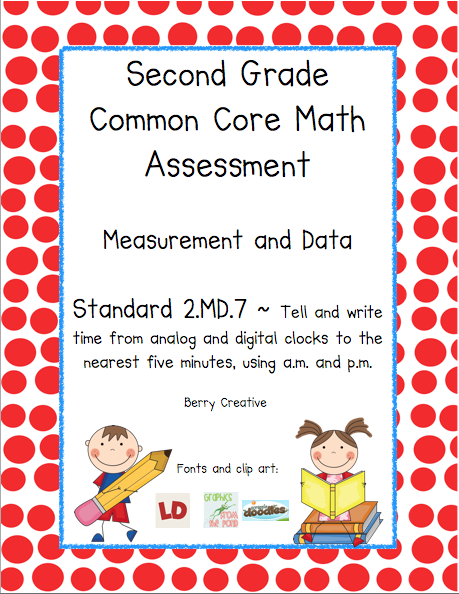 Our corporation, like many others, is making the switch to the common core standards. This means that all new assessments are needed to help track student performance. 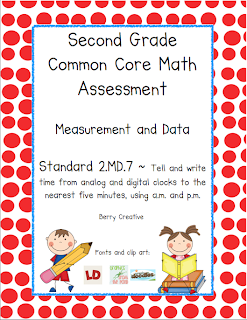 My fellow bloggers are working on Kindergarten and First Grade, so I decided to pitch in and do 2nd grade. 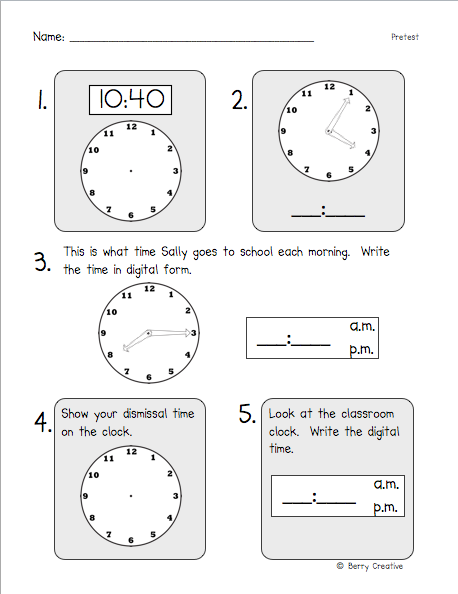 This 'packet' has a pretest and 3 assessments, for CC Standard 2.MD.7, that you can use with second graders. 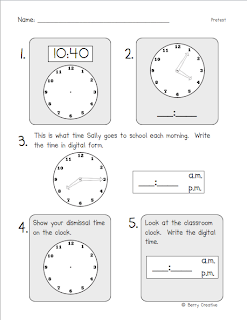 All of the assessments have 5 questions and are uniform, so keeping track of individual or classroom progress is easy and consistent. Click here to download for FREE!! !